We are absolutely thrilled to announce that we have been shortlisted in the “Health and Wellbeing” category at the Cardiff Life Awards 2019. The Cardiff Life Awards are an annual event held at City Hall in Cardiff, run by MediaClash, the publishers of Cardiff Life magazine. They’re designed to celebrate the best of the best that Cardiff has to offer and are some of the most prestigious and tightly contested awards in the city’s calendar. 2018 was an incredible year for us and was filled to the brim with many highlights. To be nominated for an award, and to hopefully win one, is truly the best way to celebrate what we achieved last year. We designed, built and launched our brand new website (www.cardiffandvale.art) in house with no budget. It has since received commendation from the Arts Council of Wales, thousands of views and has been a platform for local artists to showcase their talent to a wide audience. We had a full schedule of exhibitions at the Hearth Gallery including a special show to celebrate the NHS at 70, which was attended by Cabinet Secretary for Health Vaughan Gething and Nygaire Bevan, great niece of Aneurin Bevan on her tour of the UK with the commemorative “Miner’s Lamp”. This exhibition went on to be shown in the National Eisteddfod in Cardiff Bay in Summer 2018. We submitted an exhibition by local artist Haf Weighton at the Hearth Gallery in Llandough Hospital to the Saatchi Gallery in London, which was accepted and shown in 2018. We supported Cardiff and Vale UHB’s presence at PRIDE Cymru by recruiting a local artist, Molly May Lewis, to design and decorate a hospital bed with multicoloured pompoms to promote fun, inclusion and the celebration of diversity. We began working with the Forget-me-not Chorus to bring music workshops to our patients with dementia in Llandough hospital. They have been well received with some patients who would not normally speak come alive and respond verbally through song. We have also recruited the help of other musicians from the community, the charity Music in Hospitals and Care and the Welsh National Opera to bring the joy of music and song to our sites. We worked with Rubicon Dance and Elderfit to help our inpatients get up and get active while expressing themselves through dance and movement. We commissioned artwork to celebrate the 100th anniversary of Rookwood Hospital, engaging staff and patients in the hospital’s varied history while bringing vibrancy and colour to its walls. We worked with the theatre company, Re-Live, to bring the play Memoria and the reality of living with dementia to the executive team of Cardiff and Vale UHB. 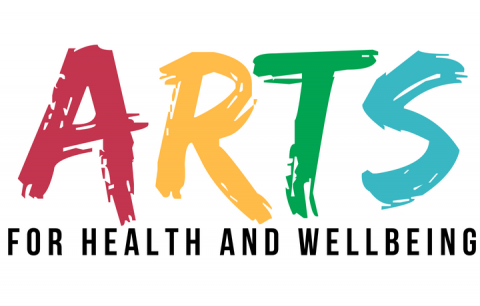 We contributed to the UHB’s achievement of the wellbeing goal, “A Wales of Vibrant Culture and Thriving Welsh Language” as stipulated in the Wellbeing of Future Generations Act.